We offer a comprehensive repair and maintenance service to clients in the local area. We especially specialise in repairing manual and electric shutters of most makes and models. How long has it been since you cleaned your roller shutters curtain? Let us do the dirty work and help you and your investment to last a lifetime. Contact Jeff today for a free quote. 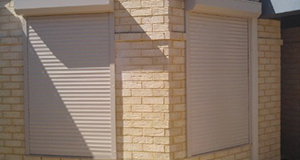 Perth Roller shutters strives for excellence in quality products and ease of installations for our customers. 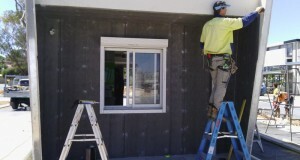 We offer a wide range of solutions for both residential and commercial properties. At Perth Roller Shutters, we provide the highest quality roller shutters, security shutters and window shutters at very competitive prices. From your first meeting and no-obligation quote to full installation and maintenance, we guarantee a professional and friendly service every step of the way. From our Carlisle base, we provide roller shutter solutions to homeowners and businesses in Perth and surrounding areas. Whether you want to fully secure your shop or business premises or you would like extra shade and protection for your home, we offer an extensive range of products to meet your needs. We understand that no two properties are the same. Our fully trained professionals can visit your home or business for a full appraisal and advise you on the best option for you. All of our roller shutters and security screens are made from the highest quality materials and offer excellent protection against break-ins and vandalism. Not only do do our shutters provide peace of mind, they can significantly reduce home or commercial property insurance premiums, saving you money in the long-run. In addition to providing a visual deterrent that will put off most would-be thieves, our industrial strength shutters and screens are very difficult to get through. Add to this our specialist locking mechanisms and you can rest assured that your home or business will be safe and secure. Statistics show that most home break-ins in Australia are through windows. Our window shutters will ensure your home won’t become another statistic. We believe that roller shutters shouldn’t just offer the very best in security, they should also look great on your property. We offer an extensive range of of highly customisable designs and colours that will look good on any home or shop front. Our roller shutters can work with the existing look of your property for a complementary and attractive finish. If you are a homeowner, you will also benefit from the excellent insulation and noise reduction that our shutters provide. By keeping your home cooler in the summer and warmer in the winter, our shutters and screens can help you reduce your heating and electricity bills by up to 40 percent. All of our roller shutters and screens are available with fully motorised remote control systems for excellent ease of use. 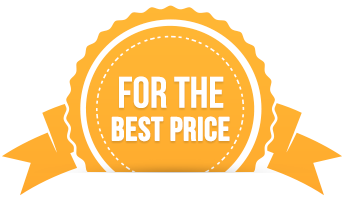 We think it shouldn’t have to cost an arm and a leg to secure your home or business and we are committed to providing the most competitive prices in Perth and surrounding areas. Full financing options are available and we are delighted to offer special discounts for elderly homeowners, who often need the security and peace of mind the most. At Perth Roller shutters, we are committed to providing high quality and affordable roller shutters in Perth and surrounding areas. Contact us today for a free appraisal and quote for your home or business. Our house got broken into a couple of months ago, so my wife and I wanted to make sure it would never happen again, especially with a newborn baby in the house. After Perth Roller Shutters installed roller shutters and security grills around our home, we have felt so much safer. Although Carlisle is quite a quiet area, you can never be too sure. I first met Jeff when my son’s rollershutter which he had installed needed fixing as someone had tampered with it. So now living alone, I decided to install rollershutters to all my windows for safety and peace of mind especially at night. Jeff is a very friendly person and always willing to help at a moments notice. I always recommend him to my friends. Thanks Jeff for your professionalism in the work you do with rollershutters. All the best. Ineeded roller shutters as garage doors,as i did not want to loose the hight in the entrance as one would with normal garage doors, perth roller shutters was there to help…a great service his ambition is customer satisfaction, thanks for a great product. Jeff has installed roller shutters and security screens for me at my rental property. He is a truly professional businessman and the workmanship was second to none.